Bergamot Essential Oil - Amphora Aromatics Ltd – Supplier of pure essential oils and aromatherapy Products. The tree is harvested in the winter months between November & December. A mixture of harvesting by hand (by people known as Tree Shakers) and mechanical harvesting is used. In a well-run plantation mature trees can be expected to produce 200-300KG of the fruit which yields between 300-600 grammes of oil. The essential oil is obtained by rasping the rind of whole fruits to cause the oil glands to break and release the oil. To remove the oil, rasping is done under water sprayers. The oil is extracted from the water by centrifugation. When blended in massage Bergamot is commonly used for various skin conditions including eczema, acne and psoriasis. It can also be used to relieve excessive flatulence, colic and digestive problems and may also assist in regulating the appetite. 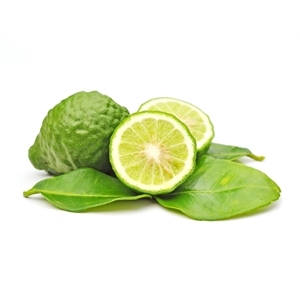 Because of its cooling action Bergamot can also be useful in lessening the effect of feverish conditions. When burned or vaporised it's used to help to relieve the symptoms of colds, flu and bronchitis. Aromatherapists may also use Bergamot to treat inflammatory problems such as tonsillitis or sore throats and it has also been used successfully to treat cystitis or urethritis as it is thought to have a powerful effect on problems in the urinary tract. Bergamot is one of the most used oils to treat psychological issues as it's regarded as a very good uplifting oil and relaxing oil. People suffering from depression brought on by stress are often advised to burn or vaporise Bergamot because of these properties. It's also used as an antiviral oil with particular potency against the herpes simplex virus which causes cold sores. It's used alone or blended with Eucalyptus as it can stop cold sores developing if used when the first ominous tingle is felt. Most essential oils blend well with one another. You may find that Bergamot blends especially well with black pepper, clary sage, cypress, frankincense, geranium, jasmine, mandarin, nutmeg, orange, rosemary, sandalwood, vetiver and ylang-ylang.